In what appears to be a move to buy further time even after several weeks have passed since Colombo Telegraph published allegations of serious fraud, the Centre for Policy Alternatives claims that the authenticity of the relevant documents is being verified. “An independent verification of all vouchers and documents in CPA’s possession relating to the allegations made against the organization is underway.” says the Centre for Policy Alternatives. “CPA will release a statement once this has been completed.” under the headline “Allegations on Colombo Telegraph website: Update” the CPA website further said today. On October 10th Colombo Telegraph exposed various financial malpractices in the CPA. The CPA, in its official website, referring to this exposé, on the same day announced that its Executive Director, Dr Paikiasothy Saravanamuttu was away and that a response would be given ‘in two weeks’. 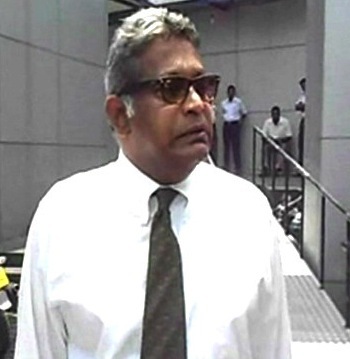 Dr Saravanamuttu returned to Sri Lanka on the 17th. The self-imposed deadline expired on 24th October. On October 10th, based on CPA documents in our possession, Colombo Telegraph accused the CPA of billing for un-held workshops, engaging in double billing,’ i.e getting grants from two donors to do the same task and duplicating receipts, hotel bills and other bills to submit to donors (perhaps even submitting same bills to multiple donors), and hoodwinking donors by filing expenses under safe cost columns. “It is of course your prerogative to communicate or refuse to do so, but there are troubling questions that remain. “Can you tell us which of our allegations are mala fide? “Can you tell us whether the CPA and the International Federation of Journalists together have submitted proposals to UNESCO and EU to do a “Public Service Broadcasting” campaign/training or not? “If “yes” can you tell us what workshops were, for whom and where they were held? How many workshops were held using UNESCO funding and how many workshops under EU funding? “Since both EU and UNESCO funded workshops and certain activities, can tell us how much monies were given by both funders? 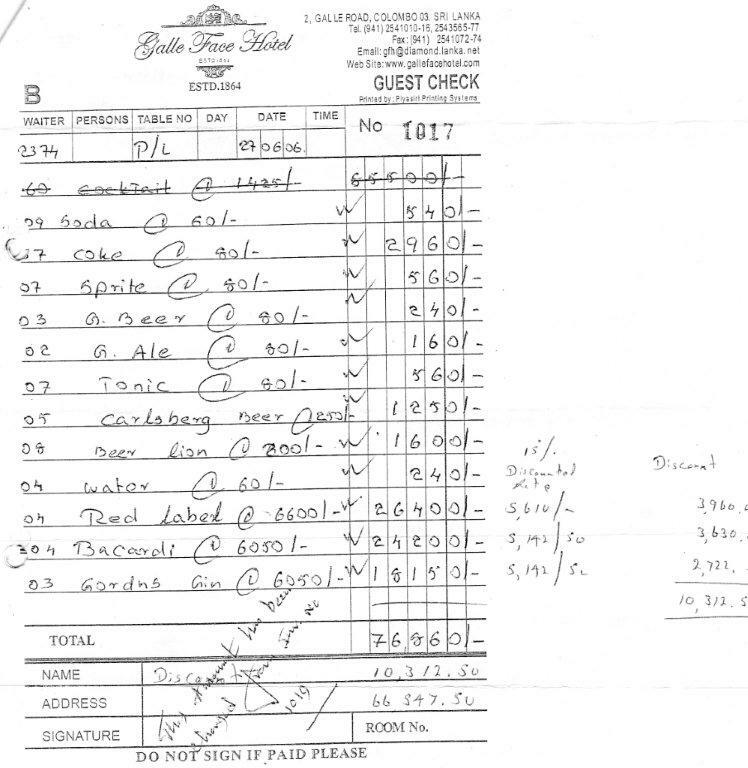 “Contrary to your claim that the “CPA paid the Galle Face Hotel liquor bill”, Sasha Ekanayake (the Unit coordinator at that time) said CPA submitted a bill to EU as drinks and food “Since (we) can’t charge liquor, the CPA submitted a different bill to CPA”. This means the CPA got a different bill from Galle Face Hotel instead of submitting the original bill (a copy of which I sent to you). Would you agree? “As we said before it’s not our duty to provide you documents. As you have implied in your last email, you have access to organization’s document so please check them. “But don’t assume that we don’t have documents, we have all narrative reports which CPA submitted to the donors or a file of original bills, which the CPA did not submit to the donors. These are questions and comments that are based on damning documentary evidence in the possession of the Colombo Telegraph. The Colombo Telegraph finds it appalling that a strong advocate of checks and balances, accountability and transparency such as the CPA remains silent on the allegations.